Hotels on the LES to get ready in? 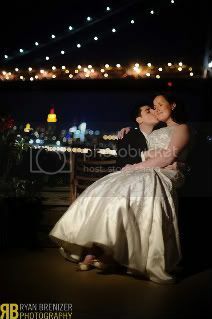 I'm looking for a hotel on the lower east side are (near the williamsburg bridge) to get ready in, and to spend our wedding night in. I'd like a hotel with great views for our getting ready shots. I don't mind splurging a bit! I'll definitely need a large room or suite, since I have 5 bridesmaids and my mom all getting their hair and makeup done in the suite with me that morning. I'm looking into the Hotel on Rivington and the Bowery Hotel. Anyone else have any other suggestions? Re: Hotels on the LES to get ready in? If you go with the Rivington -- make sure you go ahead and check out the rooms before you book -- they're beautiful, but are a bit cramped in terms of size. You can also check out Thompson Lower East Side. i just did a walk thru at the Thompson LES hotel - its on Allen and Houston. its a great space, they are so nice there and they offer good rates. you should definitely check it out! Thanks! I'll definitely check out the Thompson! All of the above are great choices, although pricey and beware of tiny rooms. Definitely go look at any room you are considering reserving. Also, make sure whichever you choose has a check-in time that works for you. I just spent the last week looking for a hotel to get ready in and also for the wedding night and I hadn't realized I would need a room for two nights which totaly screwed us up.